You've heard all the warnings about dietary supplements. Here are a few that men should use with caution or avoid. Americans spend more than $32 billion on 85,000 different dietary supplements every year. These products contain various combinations of vitamins, minerals, herbal extracts, and other substances. The manufacturers claim that their products enhance health, but the scientific evidence ranges from slim to none in most cases. People still perceive dietary supplements as inherently harmless, but that's not always true. "A lot of people are spending unnecessary sums for things that in most cases will do nothing," says Dr. Pieter Cohen, a dietary supplement safety researcher and assistant professor of medicine at Harvard Medical School. "If they buy something from the wrong people, it could do a lot worse than do nothing; it could be dangerous because it might be spiked with actual pharmaceuticals." Dr. Cohen urges men who use dietary supplements to do it openly. "I would just recommend that guys call their doctors and ask, 'Would you prescribe this to me?'" he says. "Your doctor needs to know what you are taking." That is especially important if you are already on multiple prescriptions, since dietary supplements interact harmfully with certain prescription drugs. Vitamin E: In research, vitamin E has largely failed the test as a heart-health booster. In fact, in one large clinical trial, people who took 400 international units (IU) were more likely to have heart problems compared with those who didn't take vitamin E. The Selenium and Vitamin E Cancer Prevention Trial (SELECT) found that men who took daily supplemental vitamin E were at greater risk of prostate cancer. Vitamin A: Taking vitamin A supplements can raise blood levels of retinol, which in some research is associated with a greater chance of hip fractures. The link isn't proven to be cause-and-effect, but there is not any strong evidence that vitamin A supplements help you, either. Why take the risk? "Unless your doctor says you should be taking a vitamin or mineral supplement—be it calcium, iron, or others—don't worry about it," Dr. Cohen says. "Just eat a well-balanced healthy diet and stay away from supplements." St. John's wort: St. John's wort is often pitched as an herbal remedy for depression, anxiety, fatigue, and sleeplessness. However, it can have a range of bad side effects. These include dry mouth, dizziness, stomach or intestinal discomfort, fatigue, and headache. 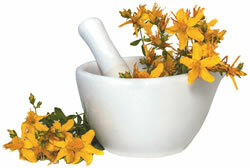 St. John's wort can alter blood levels of prescription drugs by speeding up or slowing down their metabolism. In several documented cases, the herb interfered with immune-suppressing drugs people were taking to prevent organ transplant rejection. Blood-thinning herbs: Ginkgo biloba and vitamin E can thin the blood. This could be risky if you are already taking a blood thinner, like warfarin (Coumadin), to prevent clots. "The number of herbal ingredients that interact with warfarin are endless," Dr. Cohen says. "Make sure you tell your doctor or pharmacist—whomever is managing your warfarin—what you are taking." The FDA does not require dietary supplements to be tested before marketing to prove they are safe and they work, as is the case with prescription drugs. As a result, products may contain unlisted ingredients and contaminants; some products have tested positive for prescription drugs not listed on the label. One thing you can do is make sure the product is certified by the United States Pharmacopeia or NSF International, which independently assess supplement ingredients. What supplements can you trust? United States Pharmacopeia. A supplement manufacturer can submit its products for analysis by USP to verify its ingredients' identity, strength, quality, and purity. Look for the "USP verified mark" on the product. NSF International. This organization also tests dietary supplements. The NSF stamp on a dietary supplement product means it was tested for quality and safety.